My Britain’s Best Dish success, supper club and the new Ogwen Produce market (of which I am part) have all been in the press this week. There was this lovely piece in the Bangor Chronicle discussing all of them. 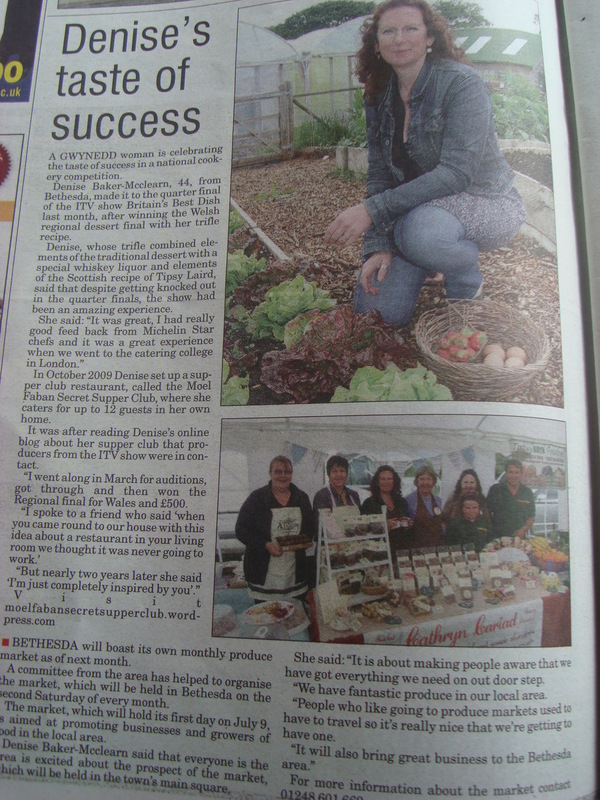 The picture was taken at the Moelyci market garden while the second, showing a number of other local producers including Rhyd y Delyn cheese producers (one of my favourites), Delyth from Cegin Brysur with her amazing cakes, two local chocolate makers (i need to get their details!! ), plus Chris with his fruit and veg.